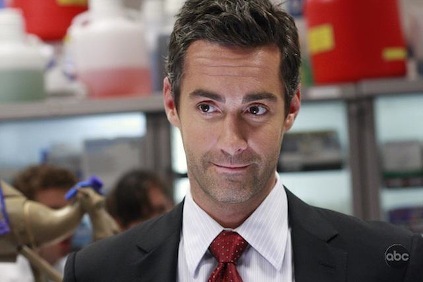 Jay Harrington has the title role in ABC's new Better Off Ted. The new ABC workplace comedy Better Off Ted launches Wednesday night. Comparisons to The Office are inevitable, but this one has its own odd charms. Our review is here. Also, avid twitterer George Stephanopoulos "tweets" with late adapter John McCain. And we pick up the pieces.